Sparhawk, Pandion Knight and Queen's Champion, returns from a long spell of exile to find his native land overrun with evil and intrigue - and his young Queen grievously ill. Indeed, Ehlana lies magically entombed within a block of crystal, doomed to die unless a cure can be found within the year. 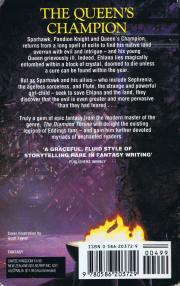 Truly a gem of epic fantasy from the modern master of the genre. 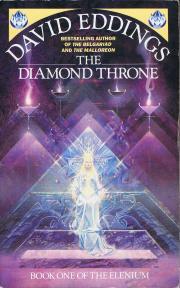 The Diamond Throne will delight the existing legions of Eddings fans - and gain him further devoted myriads of enchanged readers.